To celebrate the release of the MEDrefer Manager and MEDrefer’s integration with Genie Solutions, MEDrefer is offering Genie users an exclusive 20% discount on yearly membership when they register before April 30th. The MEDrefer Manager is a small and compact computer desktop application that can be downloaded and installed in seconds and that syncs with your Genie calendar, letting referring GPs know your wait time for an initial consult. You can also update your availability manually if you have spare appointment slots or short term schedule changes. The MEDrefer Manager allows Practitioners, Practice Managers and authorised Receptionists to easily view referral details, accept a referral and send information back to the referring GP. In the case of larger practices, the Practice Manager can also sign up for a MEDrefer account which will allow them to accept referrals on behalf of all specialists in the practice. If you’re not at your work computer, you can still access all your referral history, professional profile information and availability settings from our secure website, anywhere that an Internet connection is available. 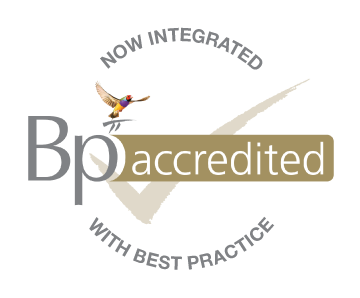 MEDrefer is also integrated with Best Practice, one of Australia’s leading GP clinical programs, meaning that your Specialist professonal profiles are available to more than 40% of Australia’s GPs (and growing). MEDrefer gives specialists and authorised management staff the ability to send reports and notify referring doctors of non-attendance with one click, straight to the referring doctor’s clinical inbox. It also allows referrals to be downloaded in standard HL7 medical document format, straight to your electronic patient records. MEDrefer provides a streamlined referral system which fulfills duty of care requirements and minimises all the most common complications that can arise in the referral process. Our system ensures speedy and easy communication between referring doctors, Specialists and Allied Health practitioners. MEDrefer is the only referral system that addresses all the referral requirements, from searching for the availability and most suitable specialist right through to the final report, all in one program. This is of particular value to newer specialists establishing their practice, but also helps established specialists in communicating their sub-disciplines and special interests to referring doctors which attracts more appropriate referrals. It also enhances the communication path of the referral process for both new and established practices. Ready to claim your Genie discount? Contact our support staff during business hours on support@medrefer.com.au or 1800 556 022.